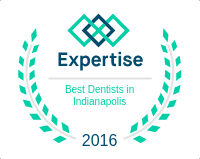 At Dental Care Today in Fishers, we care about our Indianapolis patients as individuals. Our team understands that each person’s body is unique and has unique needs. To provide the most individualized and best care for each patient, Dr. Behner offers comprehensive health screenings and offers whole health dentistry. Our health screenings help educate patients about their oral health and their general well-being and provide us with valuable information for our procedures. The ALCAT test | The ALCAT test is type of blood test that measures how your body reacts to certain foods and substances. Using this test, we can determine how different substances affect your immune system, and you can learn about unknown food allergies and substance intolerances. The ALCAT can find low grade intolerances to over 300 substances that could be linked to health problems With the information the ALCAT provides we can help prevent problems for our patients like ADD, aching joints, asthma, eczema, fatigue, gastrointestinal disorders, hyperactivity, migraines, and even obesity. Blood Tests for Heart Smart | At our practice we offer blood tests for Heart Smart to our patients in the Indianapolis area. These blood tests can provide patients with meaningful information that can help them make heart healthy choices in the future. Using the information from these tests can help patients prevent heart problems and live a happier, healthier life. OralDNA | The OralDNA test is essential for helping patients enjoy optimal oral health. The OralDNA test uses salivatory diagnostics to screen for periodontal disease and other oral health related problems. This information is especially vital for patients who are considering periodontal disease treatment or who want to find out more about their overall oral health. To find out more about the dental health screenings we have available at our dentistry, contact us at our Fishers office today. We would be happy to answer any questions you might have about whole health dentistry or to schedule an appointment with Dr. Behner if you are in the Indianapolis area, including Carmel and Fishers.